Read what magazines think about VKS, our innovative solution for a smart factory! 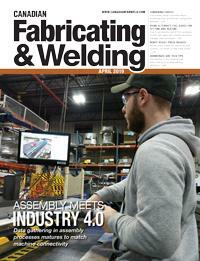 Canadian Fabricating & Welding is Canada's only national, monthly magazine dedicated to complete coverage of the metal forming and fabricating industry. Our topnotch editorial covers a wide range of topics, including bending, forming, cutting, fabricating, tube and pipe, and welding. Visual Knowledge Share Ltd. (VKS) produces a multilingual, web-based application for securely creating and sharing digital work insructions. 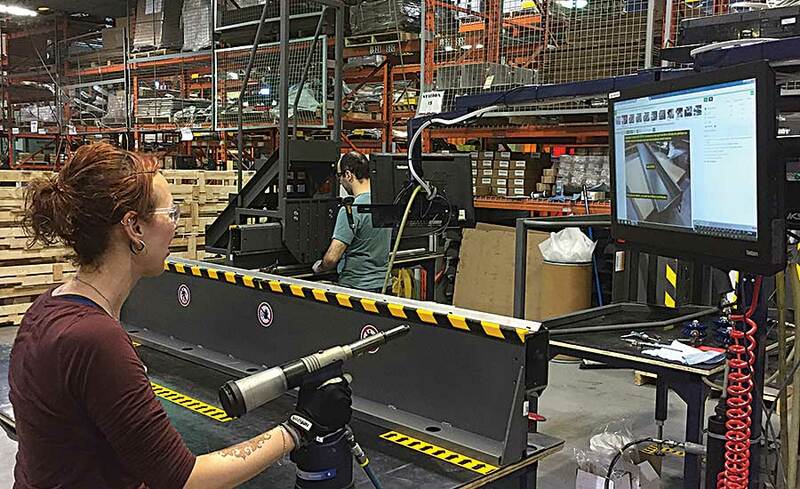 The solution also has the ability to capture process quality and productivity data, while seamlessly connecting with related software, machines and tools such as wireless calipers from Mahr Inc. for smart factory integration. Being a competitive player in the aerospace and defense industry is no small feat. In an industry in which you need to be accountable for every piece of an assembly, meeting customer expectations and requirements can be daunting tasks. VKS’s article on the value of the software to shop-floor workers was published in the May 2018 edition of Smart Manufacturing. Learn about the benefits digital work instructions provide to quality, productivity, and efficiency. The article also discusses the direction VKS intends to go with regards to Industry 4.0. To read the full article. Operating in a high-mix, low-volume environment, effectively navigating the manufacturing process can be complex and difficult. But there are reliable solutions to help steer manufacturers toward the most efficient processes. One of these is the company Visual Knowledge Share (VKS). According to electronics contract manufacturer Scott Electronics, VKS is its "manufacturing GPS." It’s hardware insertion. What could go wrong? The odds of a major screw-up are small if the job isn’t complicated. Asking a person to insert one type of fastener into two holes normally is not a threat to disrupt production. Picking up where we left of in part 1 of our discussion on “Industry 4.0“, it is important to address the role that people will play in Smart Factory manufacturing processes. Despite common misconceptions, people will continue to play a critical (albeit different) role. “Revolutions” typically denote powerful social movements where existing processes and forms of leadership are replaced in favor of something more desirable. Revolutions mean change – and oftentimes, change brings with it challenges, risk and sacrifice. But change also paves the way for an exciting new future. Check out this months special section in FABshop Magazine on paperless solutions featuring VKS. VKS’s article “Visual Work Instructions: GPS of Manufacturing” was published in the September 2017 edition of U.S. Tech. Scott Electronics implemented VKS across their facility and helped them standardize their best practices, leading them to compare using digital work instructions to GPS. To read the full article. Visual Knowledge Share (VKS) is a touchscreen-based operator visual aid installed at a workstation. As a part arrives at an operator’s station, the worker scans the part’s bar code, and work instructions, which include text, video, and part drawings, appear on the screen. Sometimes, a new supplier of assembly technology is created by an OEM when it can’t seem to find existing technology to meet its needs. About 50 Quebec manufacturers converged on the CMP company in Chateauguay, which had been presented to them as a model « smart » factory on Tuesday, September 20. Every noteworthy quality improvement methodology calls for observation, analysis, planning, measuring, and reviewing work processes to get better results than achieved previously. For any of this to be successful, manufacturers need to document work instructions, corrections, and goals. VKS will demonstrate its web browser-based visual work instruction system that is designed to empower employees and provide them with the correct tools and instructions they need to be successful. Every shop uses some sort of work instuctions method, but the majority of the time it is not ideal. Now there is a new way to easily create and share work instuctions, standardize best processes, reduce errors, increase efficiency, and most importantly, satisfy customers. In the past few years, we have started to see the proliferation of systems that help machine operators better understand what they are working on through visual representations – for instance, several fabricating companies now have controls that allow you to see what you are bending on-screen as you bend a part. Tabletop robots, error-proof fastening tools and a manufacturing app for the Google Glass were among the myriad new technologies that dazzled manufacturing engineers and managers attending the second annual ASSEMBLY Show. After only 10 minutes of walking The ASSEMBLY Show floor on opening day [October 29], I no longer felt the chill of a cold October morning in Chicagoland. The reason was not that the show floor hall was warm. Rather it was that my thoughts had turned to Jamaica after coming across the Jamaica Promotions Corp. (JAMPRO) booth. This is MP&P’s second year celebrating the best and brightest up-and-comers in Canada’s metalworking industry with our Top 20 Under 40 honours. This year, we received entries from right across the country. Honourees include business owners, apprentice machinists, welders, fabricating specialists, and researchers — among others. All of the people included here have a broad skill set and a commitment to making this industry the best that it can be. Going paperless on the production line has never been easier. A variety of systems are available that allow manufacturers to use visual work instructions to boost productivity and improve quality. 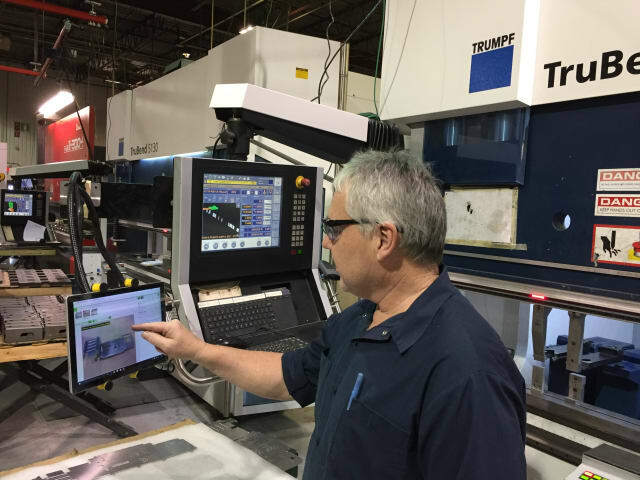 About three years ago, CMP realized that it had the development muscle and the information technology architecture to begin working on software that would allow it to share work instructions with its shop floor via computers. Since then the virtual work instructions have moved beyond simply replicating word directions to now including pictures and video. The job details, called up when an employee scans a bar code, are delivered over the Internet. In its most basic form, Visual Knowledge Share is a computer touchscreen and bar code scanner installed at a workstation. As a part for processing arrives at the station, an employee scans the attached barcode and instructions for the work— including text, video, and schematics— pop up on the screen. Chateauguay, Que.-based CMP Advanced Mechanical Solutions manufactures aluminum, steel, and stainless steel enclosures. The privately-held company expects revenue of $70-million for the next 12 months. Mr. Zimmermann won’t say whether this is an improvement from last year. VKS was officially launched in May at the American Society of Quality Conference in Indianapolis.